GWI’s cross-device data on internet behaviors shows that using a search engine is still the most popular online activity; some 92% reported doing this in Q4 2015, with the figures remaining high across all age, gender, income and region breaks. However, while the traditional search engine is set to retain its dominance for some time to come, there are signs that search behaviors are changing. 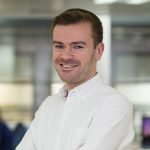 With our long-term data showing consistent rises in the amount of time being spent online via mobiles each day (especially among younger users), it’s not hard to see why alternative approaches like voice search will have appeal. From those who want to complete their search activities inside one app to those who dislike typing on mobiles or feel it takes too long, tools like these which make it easier, quicker or more intuitive to search for information are bound to resonate. 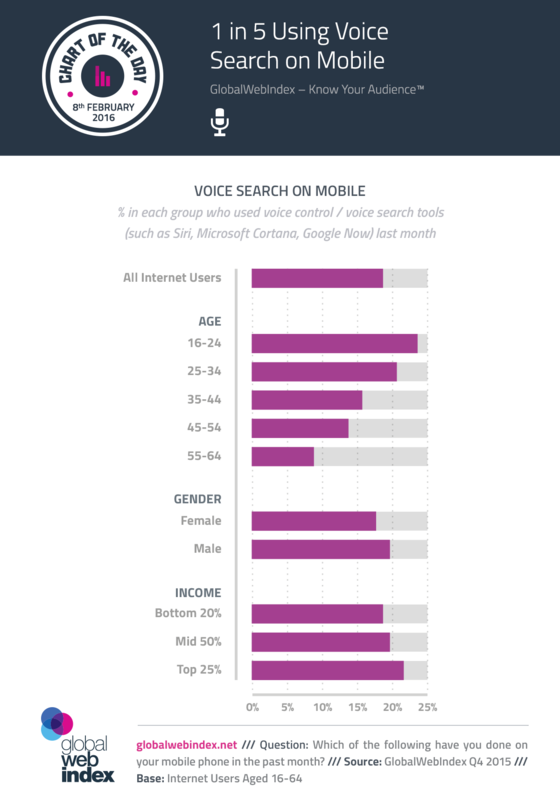 Across GWI’s 34 markets, it’s almost 1 in 5 online adults who have used voice search on their mobile in the last month. But it’s the age split which is telling here: the younger someone is, the more likely they are to be engaging (with 16-24s scoring 25% and 55-64s on just 9%). So, as mobiles continue to grab a bigger and bigger share of online time, competition to become the default voice search tool will be fierce. Is Voice Search Set to Transform the Commerce Landscape?